At our last concert in Østerbro Koncertforening we had the honor to premiere a new piece by the Danish composer Signe Lykke. Signe wrote this piece for us during the last year, and we’ve been working closely together with her at several workshops. 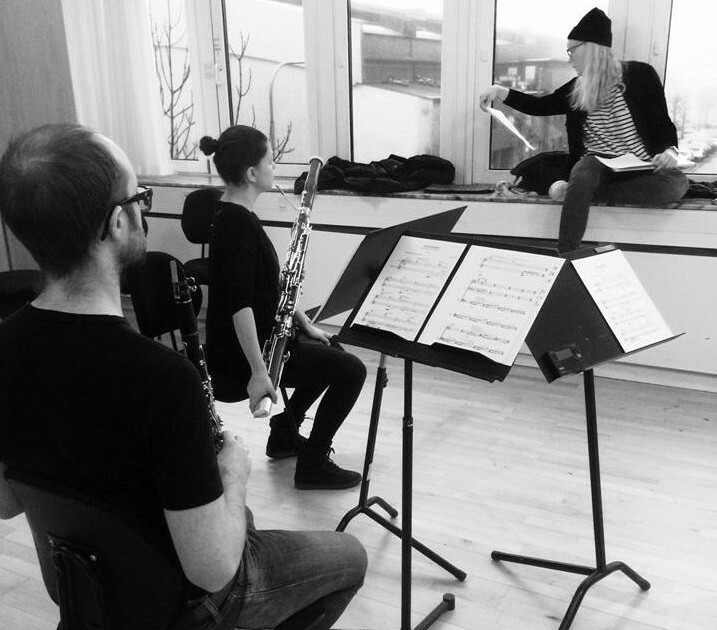 The piece even includes the rare combination of alto flute, bas clarinet and contra bassoon! We were really happy with the results, and the audience really seemed to like the piece as well. The piece is called “I Remember – 4 water sketches for woodwind trio”, and all 4 movements describe different water textures that have a personal meaning for the composer: Snow, Fog, Bubbles and Rain. Our next concert in Østerbro Koncertforening will be something completely different: A complete French (or French-connected) programme! It’s on April 29th at 20.00h, in Unitarernes Hus, Dag Hammarskjölds Allé 30, 2100 København Ø. Hope to see you there!